Xpenditure is a web-based mobile expense management system that automates the expense management process from receipt to accounting. Plus, this app makes expense reporting a lot easier. Making use of intelligent scanning, Xpenditure lets you store, digitize and manage receipts with the use of a smartphone, tablet, or even a webcam. It is intended for freelancers and small businesses to simplify managing and monitoring business receipts and expenses. Xpenditure allows you to scan and store all your expense receipts in the cloud, even matching your receipts to credit card statements, verifying every step of the process. It ensures the date of purchase, location, and the total are detected by the tool and sent to your accounting or administrative department. 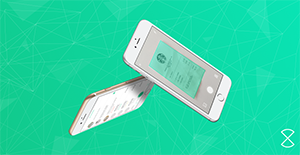 With the addition of miiCard to the tool, users have an added layer of security, because it verifies a user’s identity against his or her bank account and ID. Using your online account, you can manage expenses as well as create expense reports on the fly. Xpenditure is initially designed for independent workers, consultants, freelancers, and small businesses, but now offers enterprise plan by quote. It streamlines the way you manage expenses and, thus, saving you time and money on expense reporting. You can use your online account to manage your expenses, cash advances and mileage tracking. The tool will allow you to easily set up offices, branches and groups to reflect your company structure and to improve your expense policy. You can upload receipts with their mobile app or via email. Xpenditure scans the receipts and extracts all of the relevant data. It is also possible to add extra information such as project or category. As a business owner, you will save time and money, since you will have an overview of your expenses in real time. You can make data-driven decisions based on real time data. Thanks to the Xpenditure dashboard, you have a complete overview of where the money is going, per category, project and branch. Reports can be generated in XML, PDF, CSV, XLS or can be exported to your favorite accounting or ERP software. The tool also automatically converts different currencies using real time exchange rates. This is especially helpful if you travel across the globe for business transactions, or if your business is dealing with multi-currency financial transactions. Xpenditure also allows you to book flights, hotels, and rental cars at the best rates. The solution integrates with popular business software, and allows you to export your expense and reimbursement reports in just a few clicks. It is important to realize that almost no software in the Accounting Software category will be an ideal solution that can fulfill all the requirements of different company types, sizes and industries. It may be a good idea to read a few Xpenditure reviews first as certain services might excel only in a very small group of applications or be designed with a really specific type of industry in mind. Others may work with an idea of being easy and intuitive and as a result lack complex features needed by more experienced users. You can also find solutions that support a wide group of users and give you a rich feature toolbox, but that frequently comes at a higher price of such a service. Make sure you're aware of your requirements so that you choose a solution that offers specifically the features you search for. How Much Does Xpenditure Cost? We realize that when you make a decision to buy Accounting Software it’s important not only to see how experts evaluate it in their reviews, but also to find out if the real people and companies that buy it are actually satisfied with the product. That’s why we’ve created our behavior-based Customer Satisfaction Algorithm™ that gathers customer reviews, comments and Xpenditure reviews across a wide range of social media sites. The data is then presented in an easy to digest form showing how many people had positive and negative experience with Xpenditure. With that information at hand you should be equipped to make an informed buying decision that you won’t regret. What are Xpenditure pricing details? What integrations are available for Xpenditure? Pros: I love OCR receipt automatic feature. I can scan and take a picture of receipts so I can store my expenses into my account, and what’s more I can check them on the go. Also, Xpenditure helps me to assign projects and categories. This app saves me lot of time, and the price is great. Cons: I would like to create trip directly from my mobile (by using GPS) when I start my trip, instead of creating it offline before or after the trip. Also, I would like to assign receipts from same merchant to same category by default. Pros: With Xpenditure I can customize expenses so they can match with my company’s format, branches and even categories. Cons: If I leave the page for some time all my selecting transactions will be lost and I need to start over again. Also, there is limitation to 50 lines per page and my expenses are more than 50 line per month so I have to create 2 expense claims for the period of one month. I would like to turn off the report print map for to-and-from. With Xpenditure recording and processing expenses is easier, this tool is really time-saving. I love this product, makes my work so much easier. With Xpenditure I can customize expenses so they can match with my company’s format, branches and even categories. If you need more information about Xpenditure or you simply have a question let us know what you need and we’ll forward your request directly to the vendor.